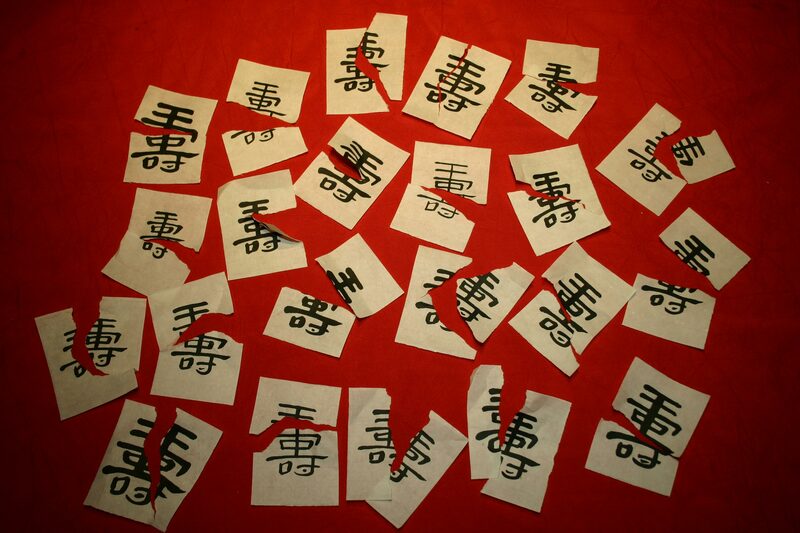 22 Chinese characters for longevity. Each written a little different. Each torn in two a little different.